in the past month or so. This is another very good science program from Apologia and we are pleased to review it. Written by Jeannie K. Fulbright and Brooke Ryan, M.D., this program is a great and easy program to use. I was impressed that Mrs. Fulbright ensured that her information was accurate by having a co-author that was an M.D. Let’s start with the text. Exploring Creation with Human Anatomy and Physiology Text is a hardback text. It is full color textbook and is not too heavy. The pages are sturdy without being too stiff to easily turn. The print is of a good size and is easily read by these “old eyes” of mine. The text is written to the student so it is not difficult for an elementary aged student to understand. It is intended for the student to be reading the text, allowing them to more engaged. The text is broken up periodically by some blue lettering that is a time for the student to review what was just covered. Whether it be a narration assignment or a written one, it is intended that the student take just a few short minutes to help cement the information better in their understanding. This allows the student to improve their ability to clearly and effectively learn to communicate their learning. Throughout the chapter, you will also come across Try This! These are hands-on activities that go with the reading just finished and allow for the student to participate in the scientific method. For example, when we had read about the purpose of bones, there was a Try This! activity that had the student make a clay figure and try to stand it up. Then they added toothpicks in place of some of the bones and tried to stand it up again. This time, with “bones” in place, the figure stood. What a great visual and hands-on activity that shows exactly how bones and the skeletal system benefit the body. The number of activities vary in each chapter and the types of materials needed will vary as well. Some only need things from around the house (such as a tape measure for comparing arm span to height) and others will need quite a few things that you might not have sitting around (such as lemon jello and lots of different candies to make an edible cell). These hands-on activities are what take this program from another good text to one that is over-the-top fantastic. Each chapter closes with a What Do You Remember? section of questions. These are questions designed to jog the student’s memory and help them recall information. There are answers to these in the back of the book. There is a reminder of the notebooking activities to go along with the chapter or suggestions of some to do if you prefer to make your own notebook. There is also a Personal Person Project. This project is pretty cool. It has the student make their own person shape and overlays to show each of the systems that are studied in the text. The Notebooking Journal has the pieces for this project with the plastic overlays printed in color to glue down on top of the person’s shape. We decided we wanted to be able to see single systems and also to overlay several at once so Miss J created a little pocket on the page next to the person and will leave her different systems pieces there. The Exploring Creation with Human Anatomy and Physiology MP3 Audio CD that is available has been very interesting. It is read by the author so it has purpose and inflection and understanding that a “hired” reader just would not accomplish. Mrs. Fulbright’s voice is calm and pleasant. It is a pleasure to listen to her. This audio book includes the entire text of the course. The CD is best used with the student listening while viewing the text and following along. Mrs. Fulbright explains this early on the CD. It is helpful for most students who are using the audio to also have the visual to reinforce what is being talked about. Also, there are times when Mrs. Fulbright refers to diagrams and images in the text. If the student does not have those to view, the understanding will be hampered. The audio CD would be of great benefit to a student that struggles with reading and comprehension, especially of scientific texts with so many new words and pronunciations. This would be of benefit to a student who is an auditory learner, as well. I can also see this being useful to a visual learner because the student is following along while someone else is reading. Thus, they are getting the visual while not having to struggle with pronunciations. We have had audio books for texts before and they were dry and boring. This is nothing like that. If you have a struggling reader, this might be just the thing. Note that this is an MP3CD, not a regular CD. It must be played in an MP3CD-compatible CD player or on a computer. Exploring Creation with Human Anatomy and Physiology Notebooking Journal. Generally speaking, the regular journal has more writing than the junior one does and the lines are printed differently. For the junior notebooking journal, there is generally the three-line formation for the student to write on. Not always but for a number of the activities. The junior notebook also has coloring pages for each chapter while the regular notebook does not. Both journals are spiral bound and designed to complement but not replace the text; you must have the text but the journals will provide additional practice with the information. Each chapter in the text has a corresponding section in the notebooking journals. The beginning of the chapter section in the journals is generally fairly open for the student to write about what was learned or better understood in that chapter. This space also includes boxes for the student to illustrate things of interest or worth remembering. Following this, there are different activities. There are scripture copywork passages that enhance the chapter and each one is generally in both print and cursive so that you can choose which style is best for your learner. The copywork is longer in the regular notebooking journal than it is in the junior notebooking journal. There are sometimes fill in the blanks or perhaps a crossword puzzle. There are matching activities and vocabulary work. There are also miniature books that are pulled out from the back of the notebooking journal, completed, and then placed with the chapter. 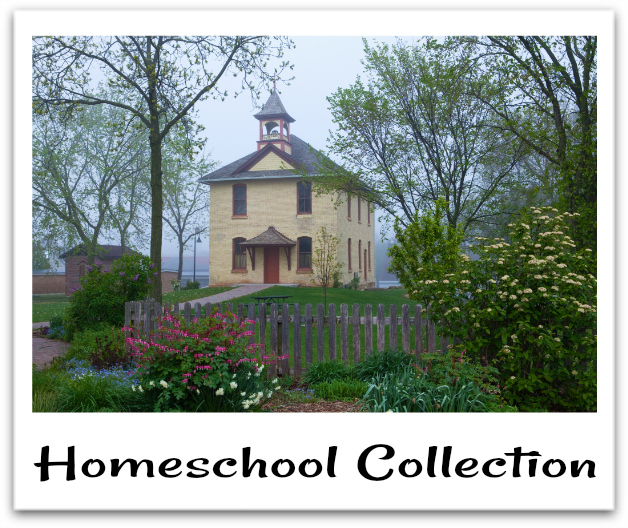 You will also find project pages, more to explore suggestions, and field trip sheets. There are a lot of different ways to track and reinforce the learning. Each of the notebooking journals have a lot of activities for each chapter. It is definitely a place where you can complete them all but it may not be best for you to do so. I have one daughter who does everything in the regular notebooking journal. My youngest daughter is working in the junior notebooking journal and she does not do everything. It really depends on your student and how they learn. The front of the notebooking journals is where you will find a suggested schedule for the anatomy and physiology program. Their suggested pace is two lessons per week. At this rate and following their schedule of activities, it will take 28 weeks to complete the program. Each lesson takes approximately 4 days/2 weeks to cover. It is restated here that you do not need to feel compelled to complete every activity. Pick and choose those best suited to your learners. We have found that the junior notebooking journal actually has more learning for the anatomy and physiology course. If I were going to be purchasing this for my middle school student and my elementary student, I would purchase them both the junior notebooking. Below you can see a comparison of the same “pages” of learning in the two journals. We used this two different ways. My 9 year old used it approximately 4 days per week, because we found early on that two days a week was taking too long for my daughter’s attention span. We did every single one of the Try It! activities, mostly as we came to them. Sometimes they had to wait for a different day or until the end of the reading. We read the text together and she did the blue review sections out loud. After doing our planned reading for the day, she would open up her junior notebooking journal and complete her activities in it. We prefer to do a little bit every day so this worked well for us and allowed us some flexibility in our plans. We broke up the schedule that was printed in the notebooking journals into two each and it has worked well. It provides a good bit of reading and activity, without overwhelming, and takes between 30 minutes and an hour. If it weren’t broken up, I think that 1 -2 hours of science work would be too much for my 9 year old. My 11 year old has been using it, also, though with the regular notebooking journal. She knows that she has to do everything on the week by the end of the week and is a very independent learner. She has generally done her reading all at once and then done the activities and the notebooking journal over the next 3 days. It has worked well for her since she prefers to get up and get her work done early on in the day. If your child is self-directed and an independent learner, this format works well. 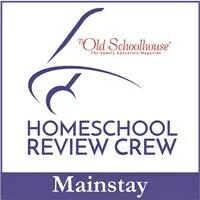 Please check out additional reviews and how other families used this program by clicking on the Homeschool Review Crew banner below. Y-titled books are not easy either. This is a book that I just adored from an author that is just tons of fun to read. This story takes place at Grandma Dowdel’s once again. Due to the hardships of the Great Depression, Mary Alice goes to live with Grandma. The year provides a tons of activity and laughter. From turning the tables on the local bullies to doing good while no one is looking to making every season one to find hilarity in, Grandma gives Mary Alice an education she’d never get in Chicago. It turns out to be a wonderful year full of the kinds of memories we all wish our children would be blessed with. As always, I definitely recommend Richard Peck as an author. I have yet to read anything that I wouldn’t share with my girls, though I keep finding new ones, so I obviously have not read all that he has written. Got any Y-titled books that you adore? Please share their titles with me in the comments. The letter W was actually quite easy to get a list for. We probably have too many titled for it but that’s okay. I’ll share them anyway. This is the book that the wonderfully imaginative movie was created from. The story is a glorious read with tons of opportunity for the reader to use their imagination. It has all the elements you would expect if you have seen the movie – Dorothy being swept away in a tornado, landing in a strange village, befriending the tin man, the lion, and the scarecrow. Even the flying monkey are included. But the book is vastly different from the movie in the way the story runs along. It was a fantastic read aloud for our family and we definitely recommend it. The following books in the series were not quite so interesting for the girls so I think we only got through two additional books and they were quite different. Summary provided by Miss L: This was a book about Ada, who is 10. She was born with a club foot and her mother did not like her. When WWII started and the government began evacuating children from London, her mother decided to send Ada’s brother to the country but not her. Ada decided she was going to go to, even though her mother had not given her permission. In the country, she gets to live a very different sort of life with all these luxuries and all the food she wants. Her mother comes back to get her and life changes again, leaving Ada wanting to return to the country. Summary provided by Miss L: Meg is the main character, along with her brother Charles Wallace and their friend Calvin. They go on a voyage with three old ladies who have magical powers to a bunch of different planets in the solar system. They are on a search to find Meg’s father. This is book 1 in the series. Summary provided by Miss E: It is about dragons and there are humans that are called scavengers. The dragons see them as animals. In this first book, it is centered on Clay, a mud-wing dragon. He and four other dragons are trapped under a mountain by three other dragons, the Guardians. The Guardians keep telling them that being kept there is for their own good. The dragons have not ever seen the outside, except small peeks through the sky hole. They come up with a plan to escape and they succeed. In the process, though, they get captured by the queen of the Sky-wings, who are involved in a war. According to a prophesy, Clay and his friends are supposed to stop this war. Once in captivity, Queen Scarlet likes to watch dragons fight and kill each other and this is what Clay and his friends are captured for. In the end, they are able to escape, with the help of the queen’s “killer dragon”, and they take off to find their parents. Summary provided by Miss E: The Wide-Awake Princess is about a girl named Annie. Her sister is Sleeping Beauty. When Annie was a baby, she only got one christening gift – magic could not touch her, whether good or bad. When the curse on Sleeping Beauty takes effect, Annie is not affected. She and her friend Liam, one of the guards, go to find all the princes so that one of them can reverse the curse and wake Sleeping Beauty. This is the story of their travels. There are two other W-titled books that I want to put on your radar. I am not providing a summary for these but they are ones that we keep on our shelves. Hope you have some good reading time this week and find some titles that bring you joy. This week we are on the letter V. Remember me telling you that we were getting to some letters that it was tougher to find titles that we enjoyed for? Well, this is one of them. One giggly girl had a book to suggest and I had one from a series we really like. That’s it for the letter V. So if you have any good V-titled books, please share them in the comments. Miss E is providing the synopsis: Based on Norse mythology, it is centered on the Valkyries. It is about a Valkyrie named Freya. In the beginning of the book, she becomes a full-fledged Valkyrie. She reaps her first full spirit and he asks her for a favor. She returns to Earth to find that spirit’s family, to tell them what happened to him and that he loved them. She found them but the grandmother was taking care of his girls and she was dying. Freya had to help the grandmother find a permanent situation for the girls after she died. Along the way, she makes a friend named Archie, a human boy, and he helps her with her tasks. She really enjoyed this story, as well as the 2nd book of the trilogy. She is impatiently waiting for the 3rd book in the trilogy to be released. It is possible that it has been and she just doesn’t know it. Either way, she really wants to read it! This is one of the Dear America series and these books are written as diaries. They are a historical fiction but are enjoyable to read. We have found them to be a good way to personify a time in history that we are somewhat unfamiliar with yet know that the information is fairly accurate. Summary: Margaret was left in the care of an orphanage when her brother immigrated to America. Now she is to go to America to join him. She is to get there on the great ship Titanic. What is expected to be the new beginning of a wonderful life take an unexpected turn when the ship collides with an iceberg. Well, that’s it for this week. If you have any good titles, please share them in the comments!